Fresh outta the oven and heading to New York Comic Con 2018 are a big selection of Rato Kim’s lovable Breadcats! 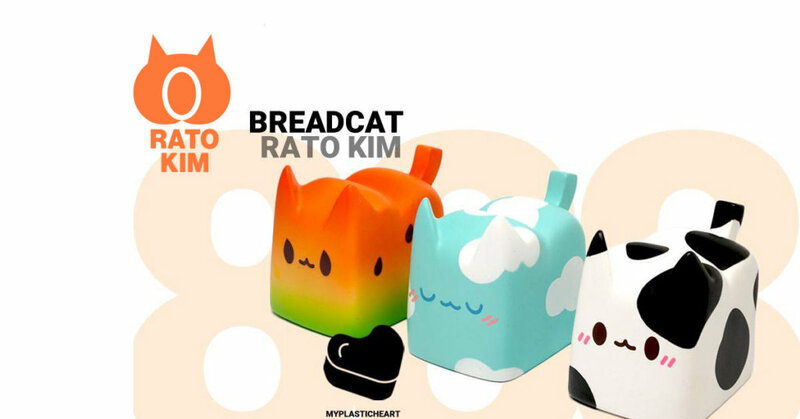 Ranging from Melon, Cow and Sky Breadcats all at MyPlasticHeart booth #888. Pretty big surprise to see the Cow edition of Breadcat as the West never got a chance to own the Cow (unless we missed the drop) MPH has notified us that the allocation is very limited so if you are one of the lucky ones heading to NYCC we suggest you get your running shoes on as these will be first come first served. Rato has updated her Etsy store too filled with more Breadcat and Boxcat. Don’t forget to check out Rato Kim on Facebook & Instagram too.